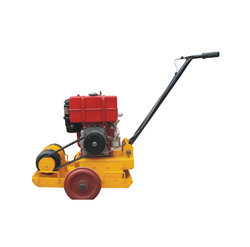 This Earth Rammer Machine is available in different types with varying capacities as per the requirements of the clients. These are available at reasonable prices. These are fabricated using quality components in conformation with latest technology and according to international quality standards. These are used in various applications in concretion of industry concrete flooring and sub-base roadbeds and pavement block lying.